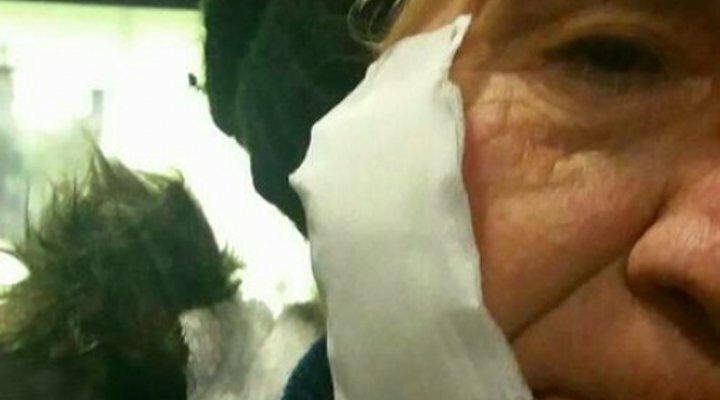 Kezban Şaçılık, the septuagenarian mother of the purge-victim Turkish civil servant Veli Şaçılık, was reportedly beaten by a group of police officers for publicly protesting his son’s dismissal under post-coup emergency rule. Veli Saçılık is a former political prisoner and public servant who was sacked by government decree in the aftermath of a July 15 coup attempt in Turkey. He has been staging protests against his dismissal and his colleagues’. More than 150,000 public servants have been fired from their jobs by the Turkish government after a coup attemot of July 15, 2016. Veli Saçılık is best remembered for having the lower part of his arm torn off by a backhoe that the Turkish government used to demolish walls during a crackdown on hunger strikers in Turkish prisons on July 5, 2000.